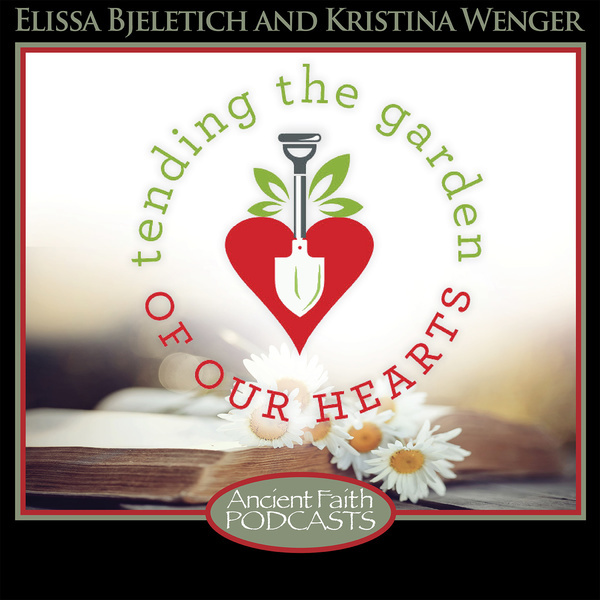 March is Parenting Month on Ancient Faith Radio! Inspired by the release of Dr. Philip Mamalakis’ Parenting Toward the Kingdom: Orthodox Principles of Child-Rearing, we’re focused on parenting this month. At Raising Saints, we focus on ways that parents and teachers and any adults, really, can pass on the faith to children. Today, I want to flip it around, and consider the effect that leading the children can have on the parents. After all, we work out our salvation in whatever life circumstances come our way: whether they’re in our homes, our families, or our classrooms, these children in our lives are going to present challenges that change us — and when we’re open to God’s grace, sometimes the struggle of Raising Saints can transform us into Saints. Parenting literally brings people back to church. I have known people who were raised in the faith, but when left to their own devices in college and in their 20s, showed up less and less often. They might have married in the church, but they didn’t show up the following Sunday, or the one after that. They hadn’t denounced Orthodoxy or anything, but they had quietly let it fall by the wayside. When their babies were born, however, they realized — kind of like the Prodigal Son — that they had wandered so far and forgotten who they were. Having kids sometimes awakens this memory of our own youth, and suddenly we want to pass on the faith that meant so much to us as children, so we head home to our Father’s embrace. When we realize that WE need to be the ones who pass down the faith, we find that we must learn to articulate the faith; when we are handed this leadership role in children’s lives, we have to step up and lead. 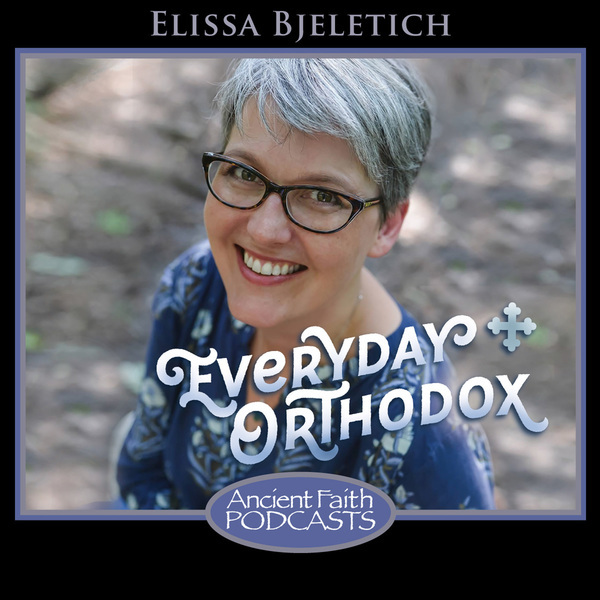 Some of us will just start to show up at church on Sundays, but what we will likely find is that Orthodoxy is a lived faith; an Orthodox home has a certain beautiful rhythm to it, and you can’t get that rhythm with just one liturgy on Sundays. We’ll have to learn how to do daily prayers, and how to fast and how to live at all times with an awareness of God. 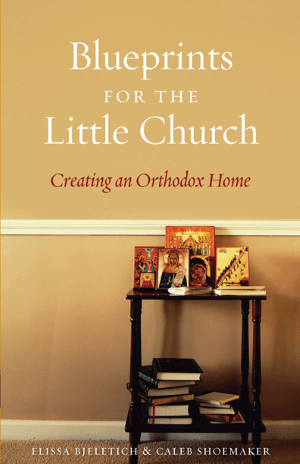 For some of us, first we have to learn Orthodoxy so that we can hand it down to our children. In my own life, my children have definitely brought me ever closer into the Church. I’ve been thinking about this a lot lately, because someone asked me about my conversion to Orthodoxy, and specifically, at what point I fell so much in love with Orthodoxy that I became as fascinated as I am. I am not one of those wonderful people who learn about Church History and those dusty books just draw them in and they fall in love with Orthodoxy, and convert with full theological understanding and knowledge of what they’re doing. I converted because my husband was Serbian Orthodox, and we were having children. You see, I understood that it would be best to have a united religious front in the household. I wanted my kids to come to either parent with their questions, and to get the same answers because we were all the same religion. I wanted us to worship together, and to be the same thing. I just hadn’t settled on Orthodoxy yet, and I was looking for a church that would feel more familiar to me, but which my husband would join with me. When I asked him why he wouldn’t, he said that Orthodoxy wasn’t something he did; it was something he was. He couldn’t leave the Church any more than he could leave his personality or his genetics. That was a very confusing answer for a young seeker still enmeshed in an American consumer mindset (we’re all just supposed to pick the church that fits us best, right?) Marko didn’t fit that mold at all. Now I appreciate it, but back then, it was confounding and strange to me. When I was pregnant with my first daughter, I knew the time had come. I was baptized into the Church, and I brought my babies to liturgy every Sunday — because that was what being Orthodox meant to me at the time. It was like a geographical issue: being Orthodox meant that on Sunday mornings, you’d find me in an Orthodox church. The years went by, and we kept showing up. And you know how it is when you’re parenting — when you have children, you become experts in the things they do. Every kid teaches you something. If your kid is fascinated with basketball, you’ll soon know about techniques and teams, you may learn all the NBA players’ names and know all their quirks. If your kid loves dinosaurs, you’ll be able to identify every herbivore and carnivore and you’ll become a paleontology expert by osmosis, just picking it up from your child and from the bedtime stories you read at night. When our third child was born with a cleft lip and palate, I learned so much about craniofacial deformities and surgeries. When our fourth child, our son, Luka, died of SIDS on his 45th day, all of a sudden, vaguely trusting that God would eventually take care of us in heaven just wasn’t enough. My son went to heaven, so I had to learn everything about heaven. I needed to know what we mean by salvation, and where my son was. The phrase “the Kingdom of God” was suddenly very important to me and I needed to know about this Kingdom where my son had gone. I wanted in. And in those long conversations with my priest, all of Orthodoxy began to open up to me, and I realized that it made sense. Finally, all of these various, disjointed ideas I had about God and about Jesus, were all part of one beautiful grand design. So it was my son who lead me finally to truly enter into Orthodoxy. So when I say that our children can actually be our salvation, I mean it. Our responsibility to our children, this awesome opportunity to open up the faith and bring them inside it, to teach them and to help them come to see it and know it for themselves — this beautiful and frankly, most important aspect of parenting requires not just that we bring them to church, not just that we offer them information about sacraments and feast days and teach them to cook special food, it requires more: it requires that we ourselves become truly Orthodox, so that we can lead an Orthodox lifestyle and offer them an Orthodox home. And in the process of doing that for them — of creating a household that moves to an Orthodox rhythm with the slow beat of regular prayers and the gentle swaying of the church calendar which call us to fast and then to feast, to rhythmically move through the year building up to Pascha and then sliding back down to summertime, and up to Nativity, and back down to Theophany, repeating year after year — this process of setting our children’s lives to an Orthodox beat, naturally forces us to live in that rhythm as well. Passing on the faith means acquiring the faith, and living it with our children. Years ago, someone gave me a photocopy of an article. I think it was by Carlo Carretto, a Catholic monk who lived from 1910 to 1988. It could have been someone else, but I think it sounds like Carretto, though I cannot for the life of me find it anywhere. He was living a monastic life out in the Saharan desert of Algeria, and he loved it. He could feel himself growing closer to God as he served his fellow man and dedicated hours to prayer. At one point during these blissful years, he headed home to Italy and made a visit to his mother. Along the way, he recalled how busy their home was — she had fourteen children, and was forever cooking and cleaning and caring for them. He mused that maybe if his mother had been as lucky as he, and had become a monastic instead, perhaps she could have reached the spiritual heights he was ascending. He arrived at the home, and spent a few hours watching her and talking with her — and it hit him: her home was a natural monastery. 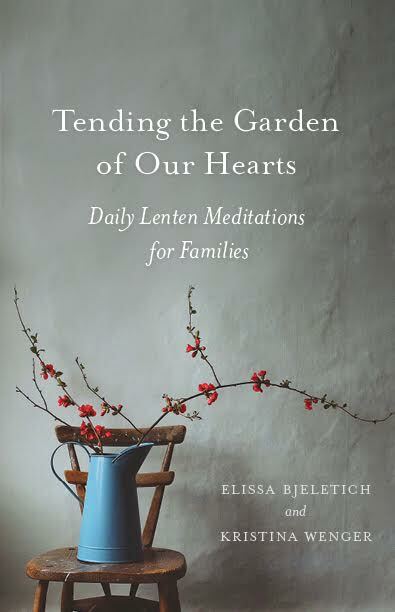 While he and his monastic brothers had arranged bells to ring to call them to prayer, she had this beautiful organic system in which children called to her constantly; she tended to their bruises and their feelings, rejoiced in their joys and loved through their sorrows. Her family was her monastery, and it was a better monastery than his. The spiritual heights she’d reached were so much more wondrous than his! Her humility and her compassion, the way that she radiated Christ’s love — her home was the best monastery. Sometimes we think that our kids get in the way of our faith, not noticing that they’re the place where we work out our faith. We aren’t spiritually lacking because we’re too busy dealing with the family: they are the struggles that God has sent so that we can build up our spiritual lives! St. Paisios could see that God teaches us through our families — we need challenges if we are to develop spiritually, and God can send those challenges through our spouses and our children. From the asceticism of those early days when a baby cries out in the middle of the night and pulls us from our warm bed, to the nights when high fevers or stubborn symptoms call us to prayer as we worry about the health of our children, we are denying ourselves and serving someone else — someone smaller and weaker, someone who relies on us. More than any simple fast, this kind of asceticism offered up in love and with real personal sacrifice will have spiritual fruit. I see it when you take that toddler to church, and you endure their wiggles and their noises. You’re convinced that yours is the loudest and most disobedient child to ever enter the church, and that every eye is burning a hole in the back of your head. Naturally, the truth is that we are all looking at our own terrible children and we haven’t even noticed yours, but you don’t know that. You imagine that the old lady who looks over furtively is angry about the noise, but she may just be remembering when her own kids were so young; we don’t really know. Maybe she’s judging you, declaring that your parenting must be lacking. Your ego is burning with embarrassment — and as you struggle to remain loving and patient and prayerful, you’re overcoming it — you’re beating down that ego and becoming a saint, right before our very eyes. When your child asks you for the 40th time the same unanswerable question, if you can answer with love and good humor, then you’re doing it. You’re growing patience; you’re becoming Christ-like. When you finally give in and yell and scream and throw your fit because you cannot possibly bear hearing that question for the 42nd time, and then you hear yourself and you quiet down and look your child in the eye and say, “I’m sorry I got so upset. That’s not the right way to handle this” and start over — you’re growing in humility and beauty. All of these distractions and annoyances and frustrations are really just your Christian struggle, the gymnasium at which you’re building up your spiritual muscles. And when they become teenagers and they test your patience in a whole new way, by having their own ideas and inclinations, by making friends with dangerous people and entertaining ridiculous ideas, you’re right in the thick of it, being ground up in the meatgrinder of holiness. If we have to die a thousand deaths in this lifetime so that we won’t die when we die, then you are dying those deaths today, while your teenager’s rebellion turns your hair white and drives your blood pressure up. When you respond to those teens with an open heart — really listening, but holding firmly the boundaries you know they need — you’re doing it. And when you’re pretty sure that these kids will turn out terribly so you gather a team — a dream team of various Saints you’ve met along the way — and beg them to watch over this child and to fill in for the gaps in your own flawed effort at parenting, well now you’re keeping company with Saints, and you’re all working together on the same wonderful project. When your child explains that you are in fact, the worst parent ever, and you manage to keep your cool, you’re doing it. You’re becoming a saint. When you manage to offer a reasoned response that reinforces your authority while showing compassion for their feelings instead of an emotional reaction that drives the whole mess even further into darkness — you’re doing it. You’re parenting. You’re becoming a saint. You know, it happens in so many different ways. When you’re trying to remember God and to live according to His way, and you’re struggling through those parenting challenges, you begin to transform — and sometimes in the strangest ways. For instance, years ago, I was reading Wounded by Love, the life story of St. Porphyrios, when it was time to take my daughter to basketball practice. I tucked the book under my arm, and headed to the gym and found myself a seat in the highest corner of the bleachers, and I continued to read… Periodically I would look up from my book and watch the children playing, then I’d turn back to the book. After a while, I found myself in tears which I assume was a gift from St. Porphyrios, who was just so beautiful and saw the good in everything. I started to watch that basketball practice like St. Porphyrios might see it: a room full of young human beings earnestly doing their best and trying to perform well, perhaps to please their parents or their coaches, perhaps just to be the best human beings they could be… They were doing the work in front of them as well as they possibly could, and I was overcome with love for their efforts. My kids’ basketball games have never been the same. Sometimes I’ll cry a few tears of joy and wipe them away so no one sees. Sometimes I cheer when the other team makes a basket, because it was just such a good and beautiful effort that it made my heart swell — and my kids find that unbearable. But I can’t help it. That’s not something that could have happened to me before I had children. 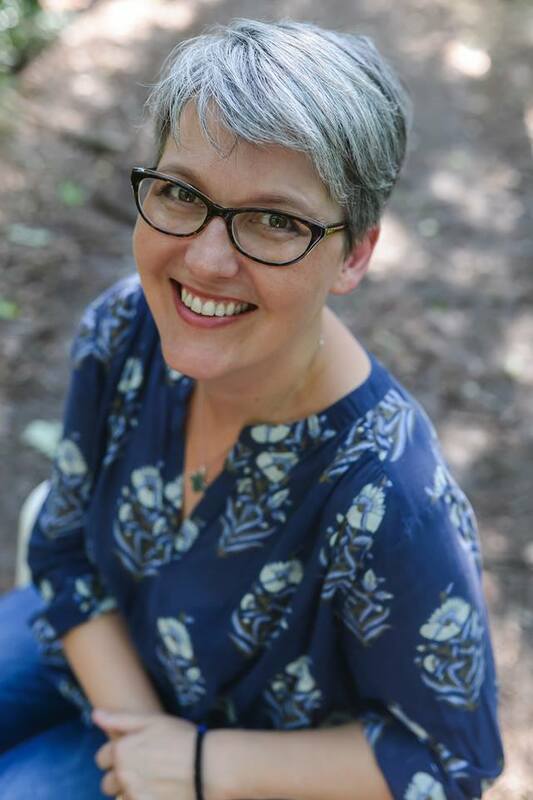 In so many ways, I was really not a very empathetic or emotional person — but somehow, as my children have pulled me into the Church and I’ve struggled through parenting with the Saints at my side, there’s been a transformation. It’s so slow that you don’t really see it as it happens, but one day you look back and find that you’re quite different than you were when you began. Let’s pray that God receives our offering as parents, and grants us true transformation! Thank you, Elissa. Just a beautiful way to look at our every day life with our children. May God continue to bless us as we do this most important job in the world – parenting! Thanks so much for this one. It was truly a blessing. Glory to God for it all. Thank you for the lovely article. Too many parenting articles these days seem to discuss the difficulties and then excuse our poor reactions as “human” “well-intentioned” and the norm. I like that you challenge us to respond differently. I am the mother always asking for forgiveness. I don’t see it as the best I can do. I forgive myself and then demand better tomorrow. I expect that I should grow just as we ask our children to. I appreciate the encouragement and reminder that all of this has a wonderful, eternal purpose.